In this wonderfully wooly tale about rediscovering one’s roots, a young Montrealer arrives in a small Italian village to scatter her mother’s ashes, and finds herself embroiled in a bizarre series of family histories and feuds. While following Jemima, a little curious girl who wanders through dusty roads, crowded markets, slaughterhouses, furnaces and bat hunters we get acquainted with three women who describe the harsh realities of being born female and deaf in a society that discriminates against both women and people with disabilities. 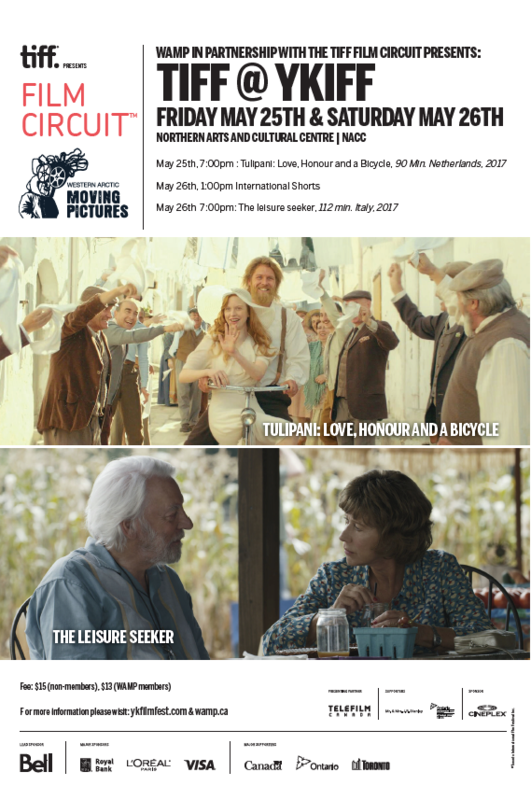 Oscar winner Helen Mirren and Donald Sutherland star as an elderly couple looking for adventure on one boisterous and bittersweet final road trip.